despite the headlines, the human race is doing better here on planet earth. Comex gold has been in a triangle since November. The closer to the apex, the more likely a strong move out of the triangle. I hope it’s up. we were told to stay out of bonds and the $US, well the 30yr went up 30.7% and the $us 12.5%. We were told oil was going up big time, well it went down 45.6%. And the hui, down another17.9%. The hui is down71.4% over the last 3 years. Oh well at least it costs me less to fill my car up with gas! 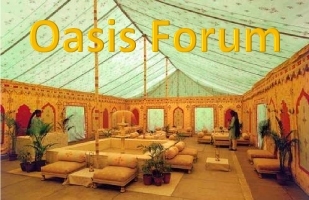 happy new year all tenters of the oasis….. If so then they must realize after all is said and done they will be left holding the bag just like the multis did to the rest of us. Have to head out myself. I have to leave the table now. Bottom line. Briefly. The elected representatives, that have to tax and pay for themselves and their vendors and social security, and defense and Medicaid etc etc are NOT bringing in enough money. Have growing debt. The big business powers big corporations, that have been manipulating campaign financing, lobbying, controlling the elected representatives, have plenty of money and growing savings. I believe the elected representatives are starting to see the cat that swallowed the canary, and are seeing the catch 22 situation they are trapped in, and KNOW they can’t go on the same way anymore. I think even the Canary is starting to see that ultimately they NEED a prosperous population to make more money, to pay more taxes, and have enough left over to buy what big business sells. Currency crashes, bond defaults, and rioting will SCREW THEM UP TOO. That’s why they bailed out everything after 2008. Re acting yeah we know how that goes but doesn’t that cause cycles like PMS? Guess like you say depends on what side of their face you see. We need to stop being their enablers but that won’t come without pain from the other side of their face although hopefully beings just as much or more to them. That needs to be a coordinated effort or it won’t matter to them. Certain industrial allies are working to globalize the world as you know but that is why or big part of the reason they are outsourcing to bring a presence ” and influence”to these countries that may seem well meaning as if a economy grows the people will have more say with gov. But It may seem well meaning why do they try to force their hand on countries that don’t cooperate or allow atrocities to go on in their countries if they are cooperating and only using it against them if they aren’t. Ie Iraq before and after. Syria, Russia??? It may at first seem like they are helping these poor countries when it brings jobs at the expense of ours but it appears what they are really doing is spreading their power while it looks like they are invading NO one and that were such a caring country as well as other industrials for insourcing so many people driving wages down as well. But what their doing is keeping a QUOTA on people’s earned income be wages or taxes, costs by the internationals that see and can work and enslave everyone globally. This further attack on middle class and division of rich and poor. That’s what’s this is all about not just countries getting over on us they look like they are allowing while playing deaf dumb and blind but the industrial countries spreading influence without invading per say doing this and why they and politicians are working together. They are smarter than people think. They don’t do anything unless there’s profit in it for them. That’s why the citizens of these countries are not heard and ignored because it’s not about them in the first place and until they address this issue of them looking at the rest of us as just laborers for them will it ever be. I myself, don’t think we can rely on cycles anymore. Even charts are somewhat useless with central management by the master planners of the financial universe, making adjustments as they go. They are imo literally “day trading” the entire global economy. They are never pro-acting but constantly RE-acting to various problems that keep popping up in front of them. For example, nine eleven and that 2008 meltdown FORCED them to make changes, that in turn made people and businesses make changes. Yep it seems so but then the question is with the growing amount of public workers thanks to a over controlling gov and baby boomers retiring my question who will be buying. The private sector going up does that mean inflation is going to rise? At some point like you said the dollar can’t rise forever too. It makes sense he brings out pensions since it concerns retiree’s. No without saying too much to stave off those trouble makers the public crybabies we are lol would they during Armstrongs panic cycle start raising interest rates to induce people into putting their money in the bank during Armstrongs 16-19 panic cycle. Where people could draw interest off their money will there be some buy out offers on pensions and of so hope people don’t lock themselves into long term rates or get ladder type CDs shorter to 3-6 months one or both. Those in dollars anyway. Might be to late for those not already in PMs if it plays out that way from his 2016-19 volatile years. Well not his but what he’s seeing per say. I see it but since he’s the expert per say he can have the credit lol just incase you know. PS at the end of that cycle perhaps longer turn rates at higher interest rates by or most likely before 2020. Again if it plays out that way. least it was good it was driven up yesterday so the sellers couldn’t drive it down into even more bearish end of year numbers then they got out. Now have to watch if Jan be flat or down with a possible uptic instead in April through June this time and of so might indicate a Nov low before any move. Looks like a bad year less you look at it as a accumulate year on the lows for the next move hopefully the it move. At this point kinda glad I’m kinda too busy for this. The up coming panic years should be interesting. So hold on to your horse. That sounds right to me. Manufacturing, oil drilling, production, manufacturing employees etc all got hit first after 1975. Eventually, after that, I knew many other sectors employees had to be effected later, and here we are. The last few sectors hit were retail, real estate, and last but not least, the public sector. Assuming reversal theory, first out first in….Manufacturing, oil drilling, production, manufacturing employees should be doing better, as all others are in decline. Maybe buy what you need this year to hold you for awhile or heck trade for dollars then buy PMs on a discount if you get your timing right. Remember the Euro had its day too then look what happened. The A$ also shows a decline against the greenback, although not as pronounced as that of the Euro. The key turning points here will be 2016 and 2018, where we should see aggressive volatility. The key resistance will stand at the 14260 level. Resistance forms initially at the 13525 level and support will be found at the 11215 level. Nevertheless, the peak in the A$ came with the peak in gold during 2011 which was a classic 10 year bear market in the dollar from the 2001 high. Consequently, it does not appear that we will achieve any major sell signal or buy signal for year-end in this currency. Couldn’t have said it better myself. At least we’re not watching the SM up another 200 pts. Amazing they’re able to erase all of silver’s gains from yesterday. My two siblings and I recently buried our father at Arlington National Cemetery with full honors. I left with a feeling of peace and closure. During the car trip back home, my “patriotic high” morphed into an introspective look into my country, and our politics. My country has radically changed during my 62 years, with the biggest change being the shrinking of the middle class. The state of our politics is directly responsible. It has become the rule rather than the exception to watch representatives use the apathy and ignorance of the majority, as well as the power and wealth of the few as a conduit to higher office. This seems to be the new norm for political advancement. Unfortunately this strategy seems to win elections. Please make no mistake, I am a registered conservative who still wants to win — but not like this. Well said, and I might add…Politics and IMPORTING MORE THAN EXPORTING has been eroding the middle class for decades, and all the people that care about their country should know this…. As they gleefully hire foreigners instead of Americans when they gleefully buy imported products. Wednesday, December 24, 2014 is the last day for tax-loss selling for Canadian stocks. Friday, December 26, 2014 is the last day for tax-loss selling of U.S. stock for Canadian investors. Wednesday, December 31, 2014 is the last day for tax-loss selling for U.S. investors for Canadian and U.S. securities. Note: Investors must wait 31 calendar days before buying back any equity to take a tax loss on the security. Figured it was leading to a hundred year de ja Vous but a little different circumstances. The dollar has been rising against the Swiss thanks to its peg to the Euro. Of course the Swiss would love to have a lower currency for that will help their exports. The Swiss is currently trading at 9934 and a merely year-end closing above 9785 will signal that indeed the 2011 low for the dollar will hold and that a test of the 11800 followed by 12300 level then becomes possible. A closing today above 9970 will confirm a dollar rally into 2015. Nonetheless, 2016 still appears to be the start of a Panic Cycle with volatility rising into 2020 with perhaps an important turning point forming as late as 2019.
guessing that turning point may have something to do with rates and commodities. Round and round we go. So tiring, such utter complete BS.